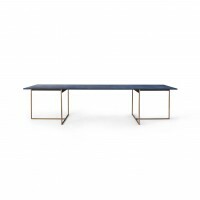 The award-winning magnum table is available with or without extension. The extending magnum table is fitted with the patented 2soft mechanism which can be operated with just one hand. 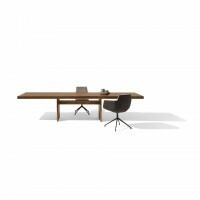 An integrated insert allows the magnum table to be conveniently extended. 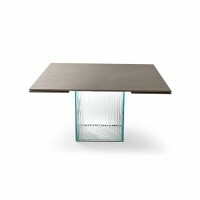 The table and inserts are available in seven different types of wood and various glossy or matte glass colors.